Hotel operates 24 hours a day, 7 days a week. Sales department operates 9am--5pm Mon-Sat. We want to do business with Ozark! Whether you need meeting space for a small board meeting to a large conference, or are getting married and need a place for a reception or room block, we are here to do whatever it takes. We are currently looking to establish locally negotiated rates for businesses with guests traveling to the area. Contact our sales departments at 417-875-8800. 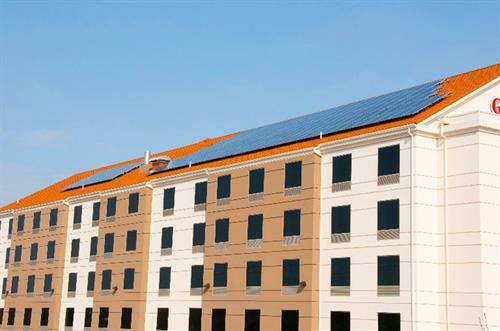 The Hilton Garden Inn Springfield hotel in Missouri is conveniently located at Republic Road, just off of US Hwy 60, adjacent to the medical mile and Springfield's Southside business corridor. Enjoy easy access to numerous shops, trendy restaurants, bars and popular local attractions as well as important businesses and corporations. 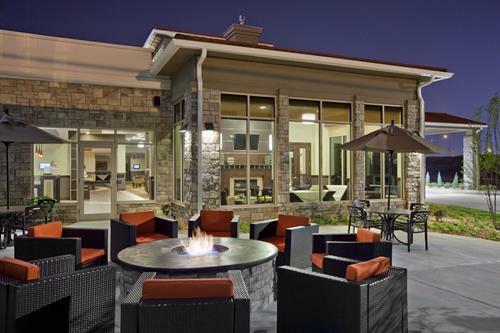 Unwind in a spacious Springfield, MO hotel room or suite and enjoy the latest technology and conveniences to ensure you make the most of your stay. Relax with homelike surroundings including a microwave and refrigerator, and surf the web with complimentary WiFi. 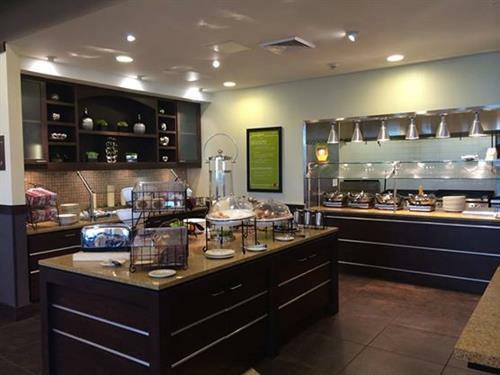 Treat yourself to a delicious meal at the tempting Garden Grille & Bar, open daily for breakfast and dinner. Those with hectic schedules will appreciate the handy 24-hour Pavilion Pantry® and evening room service menu, for convenient dining in your guest room. 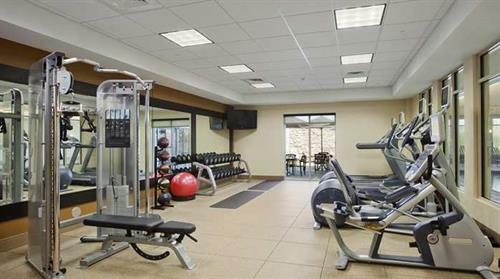 Stay active during your stay with an energetic workout in the fitness center, then refresh with a relaxing swim in the indoor pool. 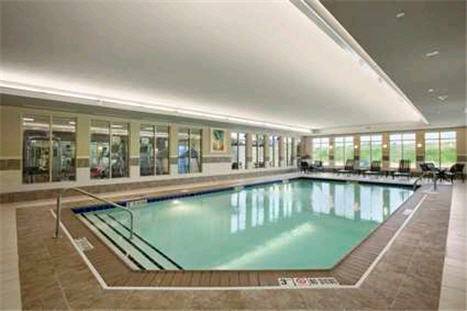 The Hilton Garden Inn Springfield hotel also offers over 3,500 sq. 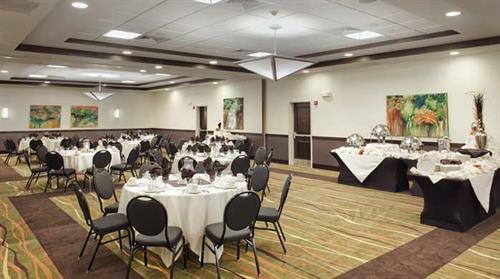 ft. of flexible meeting and event space, ideal for meetings, conferences, weddings and special events. From Ozark, head north on Highway 65 then take Highway 60 West to the Glenstone (first) exit. Turn left onto Glenstone, then another left onto Nature Center Way (the outer road).